Exercise Cobra Gold is an annual exercise held in the Kingdom of Thailand between US Forces and that of Thailand as well as a number of regional partners. In February 2009, I was honoured to be a guest of US Navy’s CTF 76 who graciously welcomed me abroad the USS Essex and visited Marine Attack Squadron 211's (VMA-211) Harriers at U-Tapao, Thailand. 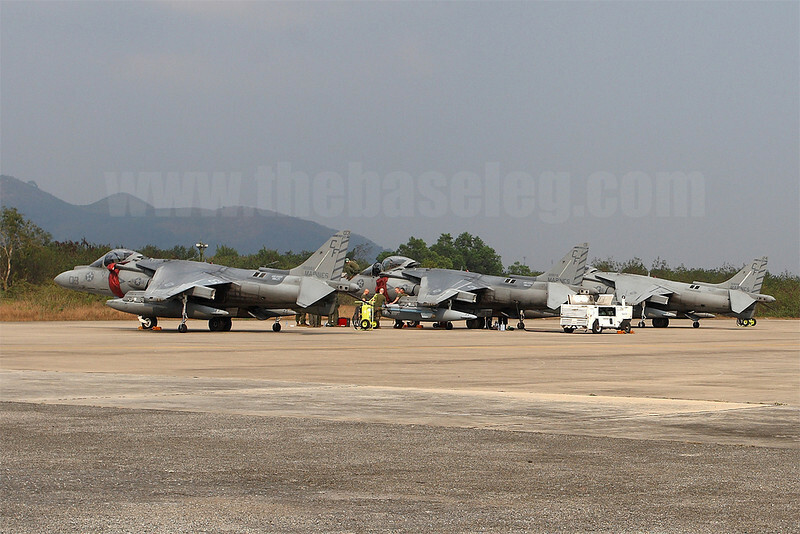 A lineup of VMA-211 Wake Island Avengers AV-8B Harriers on the ramp at Royal Thai Navy Base U-Tapao, Thailand.